Diana Gamez received her B.A. in Intensive Psychology with a minor in Latin American and Latino Studies from UC Santa Cruz. Diana is interested in the the relationship between schools and prisons as mitigated by racialization, gendered, and sexed processes upon Mexican and Central American youth in Southern California. Her work is guided through the analytical and methodological lenses of Black studies, critical race studies, intersectionality, and ethnography. 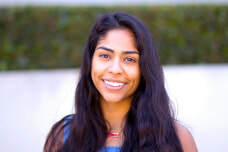 Diana’s previous professional and community work included working as a project assistant with a clinical psychology project that examined the duration of untreated psychosis in the Latinx community and the non-profit sector in which she worked with youth.